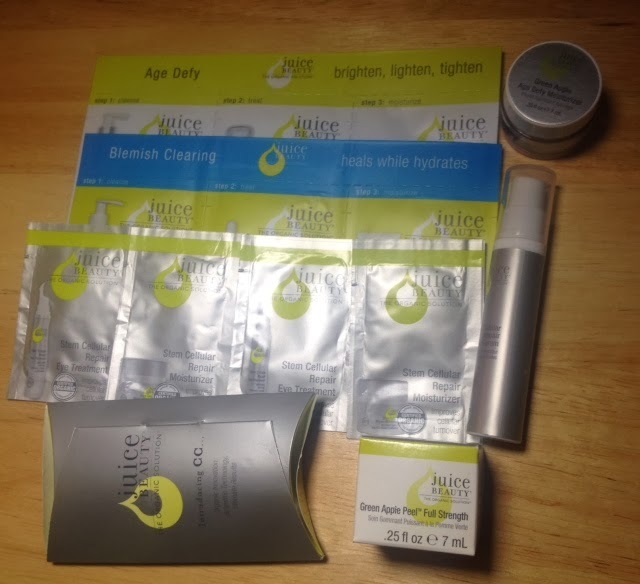 Thanks for all who entered the Juice Beauty giveaway, from ShopHQ. The winner is Simone Smalls! Congrats Simone, please contact me with your mailing information. Don't fret my beauty loving friends, there will be more giveaways soon. There are some great new items out of the Tarte factory and I am pleased to be able to show you two of them, the CC Primer and their revamped cheek stains. Thanks for watching, subscribing and commenting. Earlier in the week I made my obligatory trip to Sephora,and as usual I tried to keep to myself and peruse the products unencumbered by sales reps. looking to help. This week I was unable to avoid the prying eyes of a woman who appeared to be a Sephora newbie. She wanted to share all of her treasures of information, but to make a long story short, I ended up booking a free facial for later in the week, today. I walked towards Sephora knowing that I would arrive on time, (early is on time), for my appointment and sashayed over to the skin care area. My doting sales rep from earlier in the week was no where to be found, but I did see a fabulous looking sales rep giving a facial to a client who looked as relaxed as anyone who has ever taken a Caribbean cruise. She was sprawled out in a reclining chair with her eyes closed as the woman massaged her cares away. I was giddy because like any woman who works and has responsibilities enjoying some pampering is welcomed. I waited patiently for my turn as I examined items on the nearby shelves. I was then approached by another employee and I explained that I was waiting for my facial, she said" no need to wait I will take care of you". I thought, ok so the fabulous woman who has flawlessly applied makeup and the meticulously manicured mane giving facials in the corner won't be handling my skin???? I immediately saw it as a missed opportunity to get that woman to divulge all of her beauty secrets, but if moving on to another specialist would get me seated faster, I was game. In the back of my mind I still had a nagging feeling telling me to just wait. So I am taken, not to a reclining isolated oasis like the woman I saw in the corner, but instead to a stool located almost centrally in the store where everyone could have an opportunity to witness my treatment. Still I decided not to make a big deal of it and just take it like a champ. As I mounted the seat that seemed to barely support my derriere, I carefully rested my arm on the wobbly table that sat adjacent to my seat. I was less than pleased with my initial experience, but I wanted to be a trooper and I told myself not to sweat the small stuff. I reassured myself that I would have a fabulous facial with an equally efficient skin care specialist! As I waited for the specialist to return I saw her walking towards me with a woman with wonky eye makeup and I thought...NO, NOOOOOOO, veer left, veer left- she can't be the one who is going to assist me. Yup, she certainly was and as she greeted me with warm pleasantries her Newport laden breath assaulted me through browning teeth. I kept thinking of cigarette singed fingers touching my makeup free skin and I cringed. She was quite pleasant but with each word spoken I found myself stopping my air supply to reject her relentless assault. Her hands were clean and she did a fair job, but I just kept thinking of what could have been as I saw the other specialist prepare a sample and send off her happy client. Sitting there I wondered why I often get the raw end of the stick, out of all the specialists in there, I was stuck with the one who felt comfortable looking me in the eye and saying ..."All done, you look great" even though as shown in the picture below, I have white cream lining my black eye browns.....grrrrrrrrr. 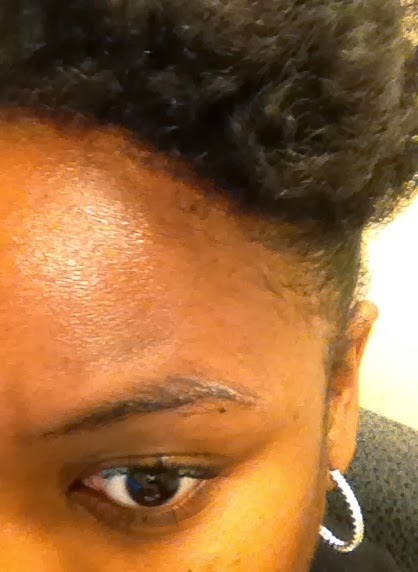 Cotton ball fragments also graced my lashes but I managed to get those off before exiting the store. I am not one to hurt someone's feelings and I saw that she was really proud of her work but ummmmmm next time, if there is a next time, let's just say she won't be touching my face. Have you ever had a facial or makeup makeover at Sephora? If so, please share your experience. Many of us embrace each new year as a clean slate, an opportunity to start fresh. Juice Beauty and ShopHQ want to help you through this process with their New Year, New You campaign. Juice Beauty, an authentically organic skincare line, has joined forces with ShopHQ to present their best organic skin care solutions. On Tuesday January 14th, 2014 you can tune in to ShopHQ, formerly Shop NBC, to learn more about Juice Beauty. ShopHQ was kind enough to send me a sampler kit, shown in the pictures below. In the past I have used and enjoyed many Juice Beauty products, and now it's your turn! 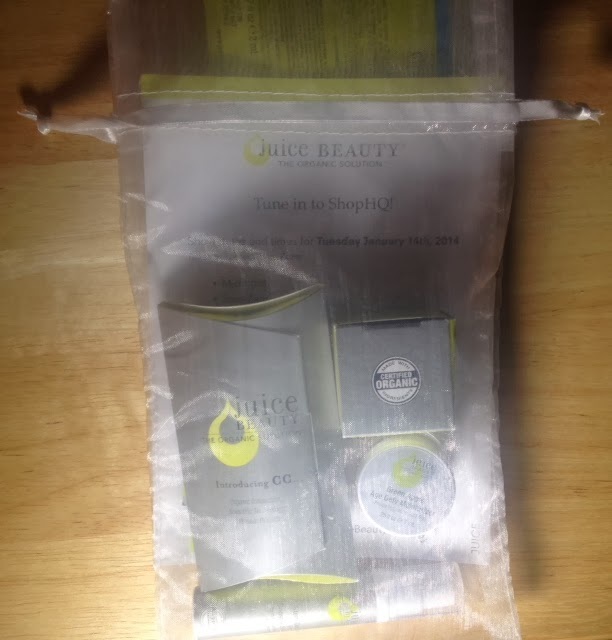 ShopHQ would like one of my subscribers to also receive a Juice Beauty Kit. Details of the upcoming giveaway will appear in my next video, which will be posted this weekend, so stay tuned. 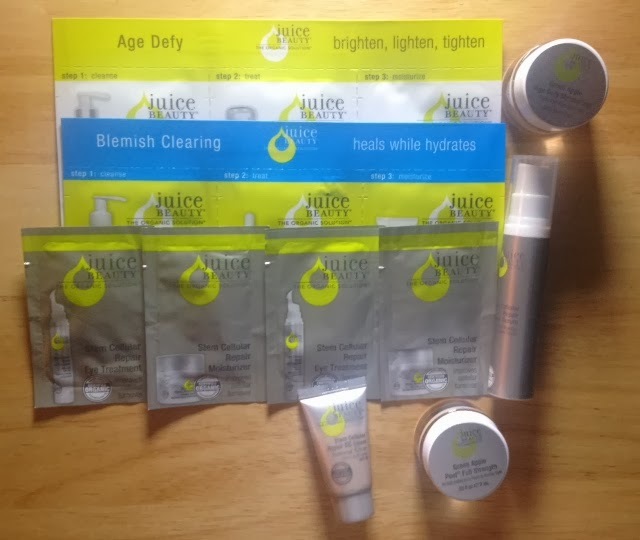 If you have ever tried Juice Beauty, please let me know your thoughts on the line. Remember you can also shop for Juice Beauty products through the ShopHQ website. I hope you are all doing really well. In this video I will show you what I picked up during Black Friday.